Here's a great article at Z-Word in response to Israeli apartheid week, written by Ishmael Khaldi, who is the deputy consul general of Israel for the Pacific Northwest: Hypocrisy and betrayal. In a related story, the Jerusalem Post (h/t Religious Fundamentalist) reports that East Jerusalem teenagers are still participating in the "to be a citizen" project whereby Israel makes it easy for them to become citizens of Israel. Their ID books are actually delivered to their school so there is no long waiting in queues. Apartheid? Though east Jerusalem residents hold Jordanian citizenship and overwhelmingly identify themselves as Palestinians, they are considered permanent residents of Jerusalem by the government and municipality. As a result, east Jerusalemites are entitled to an Israeli (blue) ID card. Interior Ministry officials said while acceptance of such IDs had originally been a taboo, more and more east Jerusalemites were putting in requests to receive them. "There was actually a drop in the number of participating pupils in east Jerusalem this year," said Weiss. "But that's only because the principal of one of the schools from last year, used the program as leverage with misbehaving pupils. He told them that if they didn't behave they wouldn't get to take part. So you can see the kind of desire there is in east Jerusalem for this program." Weiss also said that while the war in Gaza brought tensions to a boiling point in many east Jerusalem neighborhoods, most residents were still keen on exercising their residency rights. And finally, related to the fact that the first link in this post directs you to Z-Word, while you there take a look at the post entitled Freedom of expression? Legitimate criticism? It's written by the Blacklisted Dictator. Given that this is Israel ‘Apartheid’ week at universities across the globe, I thought it is important to highlight this bit of cultural news that exposes the dishonesty of the South African/Israel analogy. Israel has decided to send an Arab and a Jewish Israeli to perform a duet at the high profile Eurovision song contest to be held this year in Moscow in May. Mira Awad and Achinoam Nini will sing together in Hebrew, English and Arabic. Is this Apartheid? This type of situation could never have even been imaginable in the old South Africa. 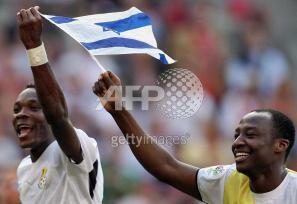 Let’s compare Israel’s non racial sports and cultural policy to those actually employed under Apartheid in South Africa. Non-whites were not allowed to represent South Africa at a national level and mixed teams at any level where explicitly forbidden. Those today protesting around the world are maybe too young or too ignorant to know about the Basil D'Oliveira affair. More than anything else this exposes the true nature of Apartheid. Basil D’Oliveira was an extremely talented non-white (coloured) South African cricketer who, on account of his race, was barred from playing for the Springboks. In 1960 he emigrated to England and began to play county cricket. After becoming a British citizen in 1966, he was selected for the English national squad. He was an outstanding all-rounder and was recognized as one of the Wisden’s cricketers of the year for 1967. But not only would the Apartheid regime not let him play for his home country South Africa, they refused to allow him to tour the country as part of the British team. South African prime minister BJ Vorster at the time made it clear to the British that D'Oliveira's inclusion was under no circumstances acceptable. 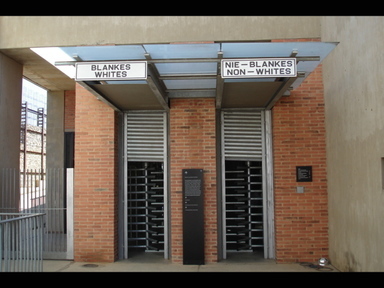 Despite negotiations to try reach a compromise, the Apartheid government stood firm and the tour was eventually cancelled. This event marked a watershed for South African sport, with international isolation and the cultural boycott soon to follow. This affair goes to the heart of Apartheid. It was a racist ideology that put keeping black and white people separate above all else. Zionism has never sought to deny citizens of Israel, be they Jewish or Arab; Black or White to integrate. In addition to this Eurovision song contest, Israel’s national soccer team features players of almost every religion, ethnicity and hue. 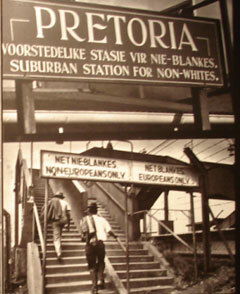 How can anyone in their right mind even think of comparing this to Apartheid? Falsely denouncing Israel as an apartheid state does nothing to promote co-existence but actually plays into the hands of the radical elements in both groups. Those students that care should not just throw slogans condemning Israel. If they want to see a more inclusive and non-racial society in the Middle East, they should get their hands dirty and spend their summer in the region helping to strengthen the moderates on both sides. Their detailed analysis raises many interesting points. It explores the disconnect between ordinary South Africa (more of whom support Israel than the Palestinians) and a few rabidly anti-Zionist South Africans that seems to dominate Middle East debates. Why is it, they ask, that these few South Africans, many of whom were involved in fighting against Apartheid, would so happily franchise their struggle to the Palestinians? For example, they explore the motives behind Minister of Intelligence Ronnie Kasrils’ ‘Not in My Name Campaign’ in the context of broader minority politics in South Africa. Kadalie & Bertelsmann don’t pull their punches. They accuse Kasrils and co of having ‘joined a cottage industry that exploits the Israel-apartheid analogy for personal and political gain’ and even argue that ‘their anti-Israel diatribes are sometimes barely distinguishable from antisemitism’. Tutu, Kasrils and Dugard they claim ‘behave as though human rights violations and terror do not matter unless there is an Israeli nearby on whom the crime can be blamed’. A major part of the piece is also dedicated to explaining why this analogy between present day Israel and Apartheid South Africa is so flawed. The crux of course is, as they point out, that ‘racism and discrimination do not form the rationale for Israel's policies and actions.’ Thus Arab citizens of Israel can vote, serve in the parliament, sit on the same benches as Jews, attended the same schools and restaurants as Jew and so on. My favorite observation they make about the extensive dissimilarities between the 2 situations is that ‘South Africa had a job reservation policy for white people; Israel has adopted pro-Arab affirmative action measures in some sectors.’ An Apartheid state indeed! Israel’s human rights record, although flawed, can hardly be compared with the behavior of her neighbours. On an objective assessment, Israel ranks as the only free country in the Middle East (the study was done by Freedom House). In addition the ANC government’s increasingly belligerent posture towards Israel is examined. They correctly see it as part of a return to the anti-Western fulminations of the Cold War era. As we at IAS have tried to expose on so many occasions, South Africa rarely misses an opportunity, from Iran to neighbouring Zimbabwe, to coddle up with dictators and tyrants who are seen to be fighting against the dominance of the Developed World. Interestingly the South African Jewish community also comes in for some criticism. The authors feel that the South African Jewish Board of Deputies (SAJBD) should have been more strident in opposing the ANC government’s Middle East foreign policy. While this is a position I passionately support, it would be informative to know what exactly they feel the SAJBD should be doing. Perhaps, given Kadalie’s struggle background, she could give us some tips on what can be done to advance a more balanced portrayal of Israel in South Africa. Despite its criticism, South African Jewry should be open enough to embrace the authors. It is so important to remember that we are not alone and we do still have friends. I hope the article will get widespread coverage throughout the community. With the author’s permission, it should be published in the Jewish Report and distributed in the schools at a minimum. Zev Krengel, Chairman of the SA Jewish Board of Deputies, has responded to criticism levelled at his leadership recently published in the above essay. Krengel responds to two main charges - (1) that the SAJBD's "supine" approach to government is indirectly creating an atmosphere where the ANC more readily bashes Israel, and (2) that there has been a rise in anti-Semitism in South Africa. Yesterday’s Cape Argus has an article from Simon Deng in response to the speech that Archbishop Desmond Tutu gave at Boston’s Old South Church at a conference on “Israel Apartheid”. Simon Deng is an escaped jihad slave from Southern Sudan and is today a leading human rights activist. The State of Israel is not an apartheid state. I know because I write this from Jerusalem where I have seen Arab mothers peacefully strolling with their families, even though I also drove on Israeli roads protected by walls and fences from Arab bullets and stones. I know Arabs go to Israeli schools and get the best medical care in the world. I know they vote and have elected representatives to the Israeli Parliament. I see street signs in Arabic - an official language here. None of this was true for blacks under apartheid. I also know countries that do deserve the apartheid label. My country Sudan is on the top of the list, but so are Iran, Saudi Arabia and Egypt. What has happened to people in Sudan is a thousand times worse than apartheid in South Africa. And no matter how the Palestinians suffer, they suffer nothing compared to my people. Most of the suffering is the fault of their leaders. Archbishop Tutu, I see black Jews walking down the street here in Jerusalem. 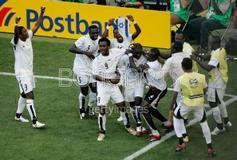 Black like us, free and proud. Quotes from South African sources are often used to support the comparison between Israel and apartheid South Africa. Some of the quotes are real, such as those from South Africa's loveable Archbishop Desmond Tutu; and some of them are fabricated, such as the fraudulent quotes attributed to Nelson Mandela. One person who has perhaps gotten to 'know' Israel is former Umkhonto we Sizwe commander Major General Fumanikile Quiba. Since 2003 General Quiba has been the South African ambassador to Israel. Joel Pollak recently interviewed Major General Quiba. Pollak has published a quick quote-let from Major General Quiba where Quiba emphasises how his objective thinking has led to a paradigm shift about how he sees Israel. That forms the basis for my third and final entry in this recent series on debunking the illegitimate Israel apartheid slur. Whilst my last entry drew lessons from apartheid South Africa that could be applied to the conflict, this entry focuses on some key differences between the nature of apartheid South Africa and the conflict between Israel and the Palestinians. I have chosen to focus on physical segragation and mental segragation in terms one's ability to control his or her own destiny (i.e. labour and education). 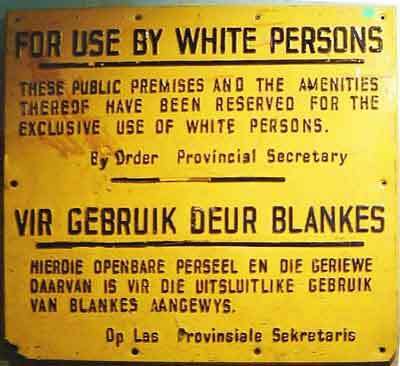 Segregation in South Africa was driven by an ideology of racist supremacy. In Israel however, segregation was created by a legal UN partition that sought to create two states for two separate peoples. 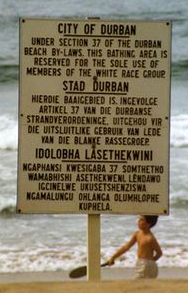 The Bantustan borders were arbitrarily constructed by the white minority, creating numerous superficial and illegal constructs. In contrast, the borders between Israel and the Palestinians are the result of the 1947 UN partition resolution 181 and the subsequent war that the Arabs launched against Israel after rejecting the partition. Segregation between Israelis and Palestinians has since been enhanced by a security barrier (part wall, part fence), that has been created as a practical response to Palestinian terrorism. In South Africa a physical barrier was never required. The "unseen power of apartheid" (quote from the apartheid museum) is what kept black Africans from spilling over into the white preserve. In South Africa Bantustans became the tool of grand apartheid giving blacks a foreign citizenship so that they didn't have a claim to South African suffrage. In Israel, Arab citizens have the vote. Whilst the 1947 partition between a Jewish and Palestinian state was legally recognised by the United Nations, the Bantustans were never recognised. Although international opinion tolerates the apartheid 'Bantustans' comparison this is typically empty window dressing designed for sensationalism (as Jimmy Carter basically admits). The actions of the international community are in contrast to the tacit acceptance of the apartheid comparison. I'll tell you why. The international community never accepted the idea of South African apartheid and its heedless Bantustans. When the apartheid government tried to admit Transkei as a sovereign nation to the UN, the international community uniformly rejected this admission which would have legitimised the Bantustans. Yet no one argues that representatives of 'Palestine' at the UN legitimise 'Israeli apartheid'. Also, as opposed to the outright rejection of South African apartheid, the international community has formally accepted the 2 state settlement as a model to end the Israeli Palestinian conflict. The Bantu Education act wrought complete control over the black education system into the hands of the government. Black education was designed to control the destiny of the native Africans - to ensure that they became nothing more than a pool of manual labour for whites – "hewers of wood and drawers of water" as the government put it. In Israel Arabs have a relatively independent education system. They can control their destiny within Israel by designing their own education systems should they so wish. They can however, (and many do) attend Hebrew schools. In the Palestinian territories the Palestinian Authority and not Israel, controls Palestinian education. South Africa created rules ensuring that whites would have cheap access to black labour -- and they were dependant on this labour. In Israel, Israelis are not dependant on Arab or Palestinian labour. In fact, one of the pillars of Ben Gurion's Zionism centred around the idea of Jewish labour – Jews building up their own land. And so it goes. These arguments, I realise, have zero propaganda value. The apartheid accusations will continue to be made. It is a powerful tool of demonisation that allows people to easily pick sides without requiring them to think. Like the South African ambassador, I can only hope that people remain objective and remember what apartheid really was. Here's a great post from Joel Pollak over at Guide to the Perplexed about Arab League Apartheid. Joel is fed up with the hijacking of human rights causes in the name of Israel demonisation. In response he has offered summaries that only remove the surface dust on the systematic discrimination and human rights abuses occuring in the Arab countries that often lead the chorus of anti-Israel rhetoric. I am tired of it. So, in the service of fair and open debate, I offer a description of “apartheid” as it is actually practiced among the member and observer states of Israel’s neighbors in the Arab League. My information is largely drawn from the latest Freedom House survey and personal knowledge. The summaries below barely begin to tell the story of human rights abuse and discrimination in these countries. I do not want to demonize Arab countries, still less Arab people, who are the most direct victims of “apartheid” in their own countries. But I think that if Israel-haters are going to throw the label “apartheid” around, a severe reality check is in order. And I think that in future, students at any campus that is threatened with “Israel Apartheid Week” should organize an “Arab League Apartheid Week” in response. With South Africa celebrating Human Rights Day this Wednesday I urge you to read Joel’s post: Arab League Apartheid. Would Apartheid South Africa have allowed any black members of parliament No? Would Apartheid South Africa have allowed any black people to sit on the Supreme court? No? Would Apartheid South Africa have appointed any black Ministers? No? Labor MK Raleb Majadele (who is sitting in his second Knesset\Parliament - Ed) will be appointed science and technology minister, Defense Minister and Labor Party Chairman Amir Peretz announced yesterday, making him the first Arab minister in Israeli history. [Majadele said] "The first Arab Muslim minister in the government of Israel will represent more than a million Arab [citizens] and this is an achievement for equality and domestic peace in the State of Israel." Majadele also said, "I consider this a precedent-setting move that expresses the integration and representation of the Arab community in the State of Israel. " The Arab minister also commended Peretz for "striking an important progressive mark." "Many talk about equality without doing a thing, but Peretz acted," Majadele said. Labor MK Nadia Hilou welcomed the appointment, calling it a historical step. "This is another step on the way to a life of partnership and coexistence," she said. Not that my above rhetorical questions even need to be considered. You only have to realise that black people were not even allowed to sit on the same park benches as white South Africans. Israeli Arabs may suffer varying levels of discrimination...problems faced by many minority groups all over the world. But calling it Apartheid only compels us to ignore the very real problems because we are constantly fighting allegations that make the real problems seem totally insignificant. Ask yourself. Could you ever imagine a black African dancing with the Apartheid South African flag at a world event in the 1980's? 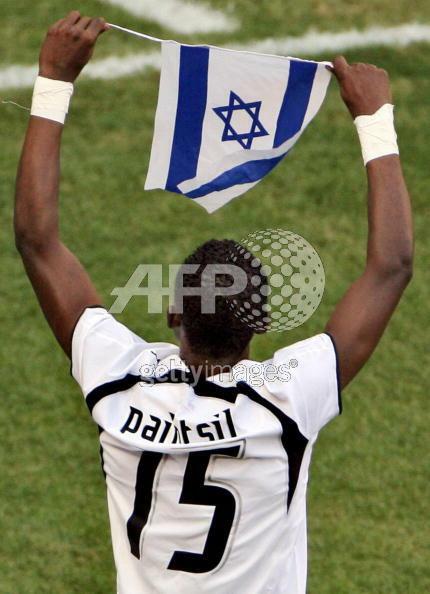 John Pantsil plays for Hapoel Tel Aviv in Israel. He had promised his team mates that he would wave the Israeli flag if Ghana won a match at the world cup. Their 2-0 victory over the Czech Republic has swung the group wide open and a victory over the USA would almost guarantee them of a place in the next round. 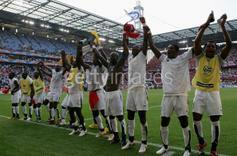 Go Africa.